After reading this Trek article almost two years ago, I put the Tour du Mont Blanc on my bucket list and mostly forgot about it. Until this past November, when I started longing for warmer weather and snowless hiking. As I tend to do when I’m nostalgic for my hiking fix, I started researching potential trips. Since I had finished my section hike of the Appalachian Trail in August 2017, I needed new trips to obsessively plan while I was in the throes of winter depression. I decided that for this summer, I wanted a hike that was something I could do in one shot and not have to break into sections. 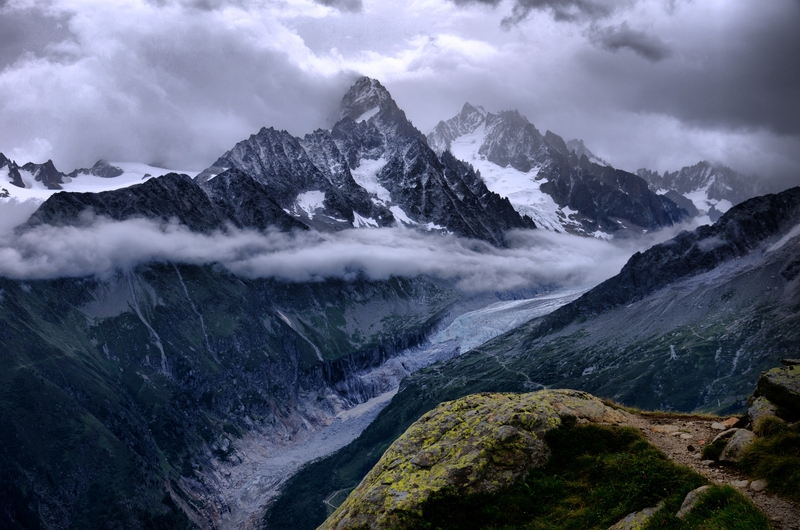 And I really liked the idea of getting out into the larger world, and backpacking around the Alps sounded like a blast. So I started planning. All I can say is, thank goodness for Google Translate. 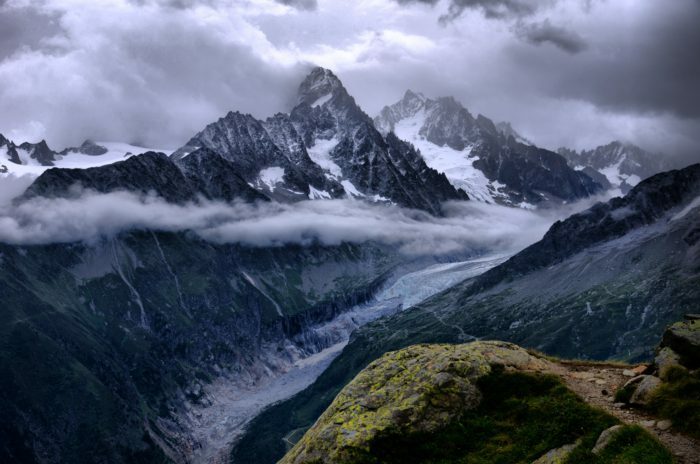 The Tour du Mont Blanc (TMB) is a loop hike of ~110 miles with ~30,000 feet of elevation gain (and subsequent loss) that circumnavigates Mont Blanc massif, a 16,000-footer in the Alps. The trail’s highest point is 8,700 feet, which is not high enough to cause altitude sickness in most people. It’s easiest to fly into Geneva (though there are many other options for transportation if you want to get creative and fly into other parts of Europe), and then take a bus or shuttle the 1.5-hour drive to Chamonix (pronounced sha-mo-nee), France, where most people start and end their hike. The trail goes through France, Italy, and Switzerland. It’s typically hiked counterclockwise, to make the elevation more gentle and put better views at the end. The trail has a classic route, with many variants as options to make it more challenging or, in one case, to avoid a section with metal ladders. It’s a popular trail for Europeans going on vacation during their summer break – July and August. Some Brits go adventuring on the Tour du Mont Blanc as well, but it’s pretty uncommon for Americans. Of the people who hike the Tour du Mont Blanc, something like 95 percent of them are either on a guided or self-guided tour. Unsurprisingly, it costs a lot to pay someone else to plan this for you; I saw anywhere from $1,000 to $5,000 beyond the actual costs of the reservations. Many places offer the option of having your bag carried from hut to hut by donkey. 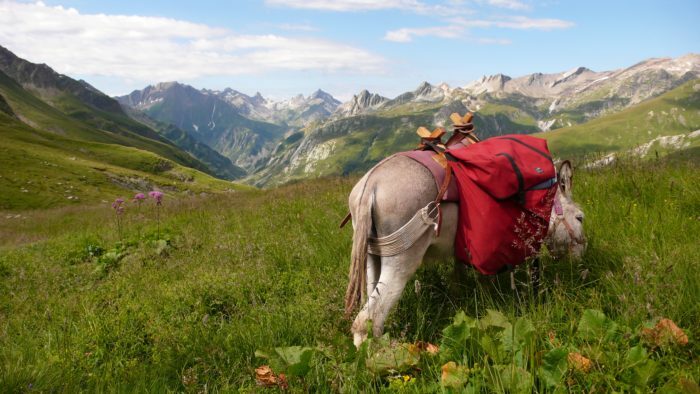 If you’d like to pay REI $5,400 (doesn’t include transportation costs), you can do the Alps in style. 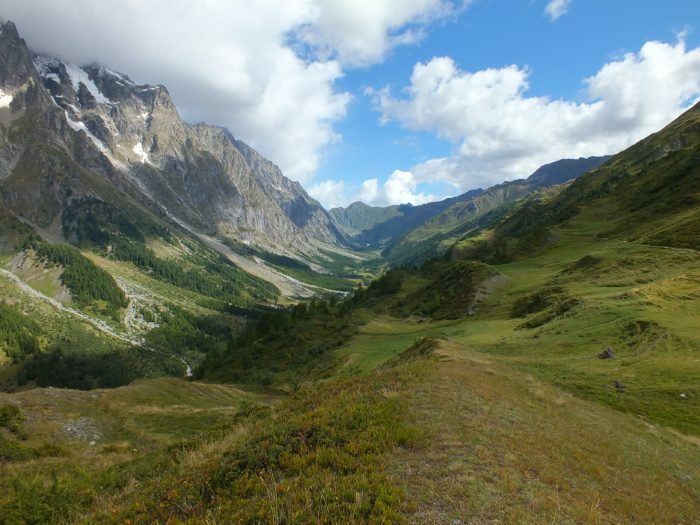 It’s worth noting that none of the guided trips and very few of the self-guided trips I found offer the option to hike the entire Tour du Mont Blanc. Almost every single one cuts out portions of it, and uses chairlifts to avoid longer ascents or descents. This didn’t sit well with me; I wanted to hike the entire Tour du Mont Blanc end to end, and I wanted to know where we were going and why. And I’m very frugal and the idea of paying someone else to plan my trip was physically painful to me, so I dug into it on my own. The most popularly recommended guide book by far is The Tour of Mont Blanc: a complete two-way trekking guide by Kev Reynolds. 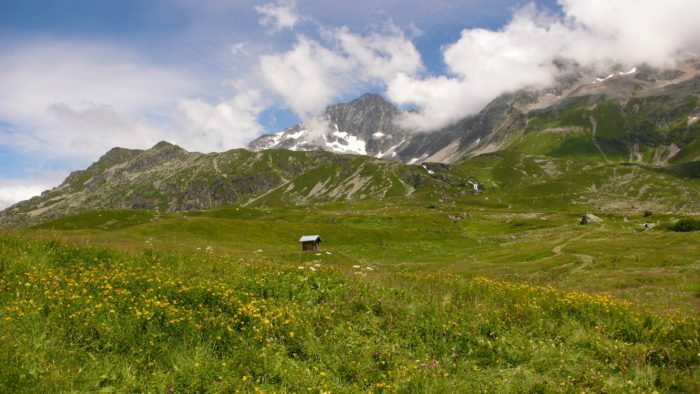 It’s a comprehensive guide to hiking the Tour du Mont Blanc, offering a lot of description about the trail’s surrounding landscape, with information about lodging, services, and towns. As a whole, they mainly offer phone numbers for each place of lodging, though sometimes websites are noted as well. I would recommend purchasing the book ($18) if you’re thinking about doing the Tour du Mont Blanc – it is worth the money. However, as a number-crunching hiker, it didn’t offer me quite what I wanted. The distance was only provided as totals for each section and the elevation profiles were so small, they were relatively worthless. I wanted something like The AT Guide or the Thru-Hiker’s Companion. As I couldn’t find this information anywhere, I ended up making my own mileage and elevation tables in Excel. I also ended up purchasing this map ($20); it took me a bit to find the Tour du Mont Blanc on the map, but once I did, it helped me with my planning process. There is also a really helpful interactive map here on the Autour du Mont-Blanc website. For those who might want to tent camp the Tour du Mont Blanc, know that it’s more complicated than it might first appear. Not only can it be challenging to bring camping gear on an airplane, it’s illegal to wild camp along the entire TMB, except in emergency situations above 2,500 meters, including outside a hut. While there are often campgrounds in or near towns, it can make your mileage more complicated. Or you could do dispersed camping and risk the consequences of being caught – $650 fine per tent. Besides, who wants to carry a heavy pack when you really don’t have to? And showers every day can be so nice! 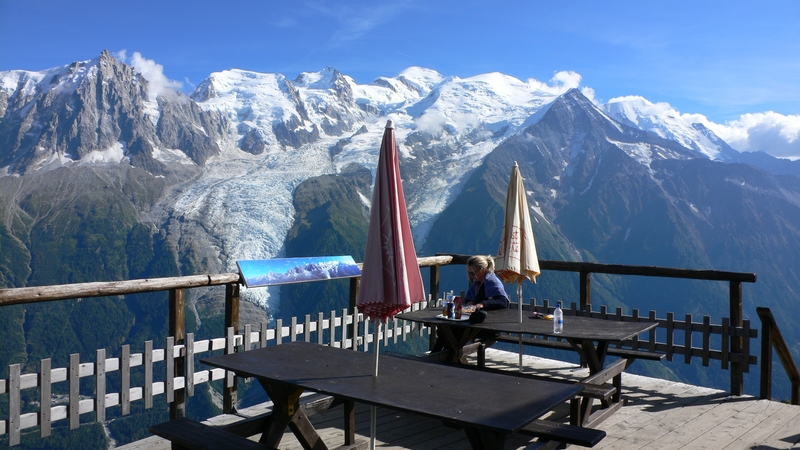 There are a number of online resources available discussing the Tour du Mont Blanc as a tenting vacation, if desired. If I like the TMB, I may return in the future with a tent, but for now, I’d just as soon reduce the number of things that I need to worry about. So first things first – what time of year to hike the Tour du Mont Blanc? Most hostels don’t open until mid-June, because there can still be substantial snow in the mountains up until the beginning of June. 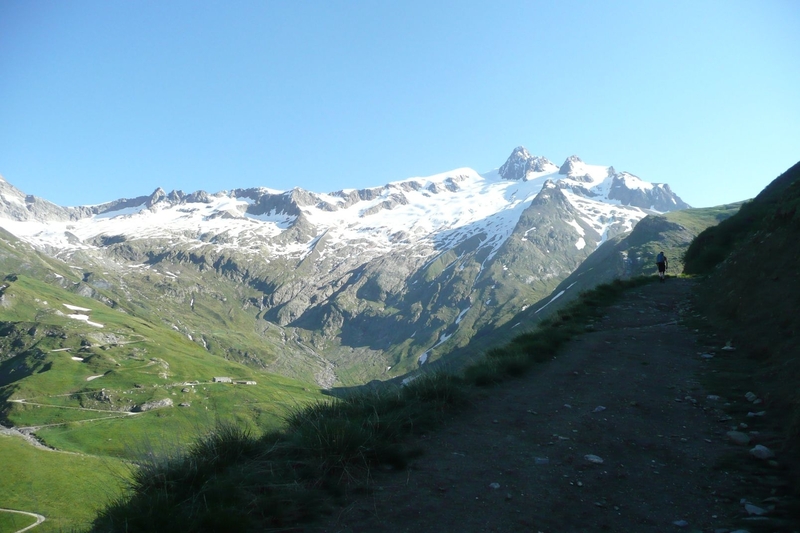 If you’re hiking the Tour du Mont Blanc in June, it’s recommended that you check that huts and hostels will be open and bring traction devices like Microspikes. 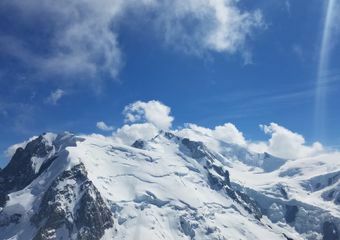 Yearly snowfall makes a difference, and if it hasn’t melted yet, some sections of the Tour du Mont Blanc can be completely impassable in June. July through mid-August are busier times of year, with Europeans on break, and July gets more rain than August or September, though all services are open and you’ll have warmer weather. Mid-August through the mid-September are generally nicer, with less people, less rain, and cooler weather. However, many hostels close in mid-September, so it can cut down on your lodging and refueling options if you go any later than that. And oh, there’s also an ultramarathon of the TMB each year in mid- to late August, so you may want to avoid those dates; it will be an absolute zoo. I had wanted to hike in mid-June but due to work and other summer hiking plans, I was locked into hiking this trip in mid- to late-July. I used Google Flights, Scott’s Cheap Flights, and FareCompare to track the cost of various flights. Google Flights is a good tool to compare different departure locations; for my location, Boston was by far the cheapest. I kept an eye on the deals and jumped at round trip tickets for $633 per percon back in January. Most flights to Europe during the summer quickly work their way towards $1,000+ for a round-trip ticket. Buy earlier, and keep your eye out for flash sales. Our economy tickets include one free checked bag. For the flight there and back, I’ll be putting my backpack inside a duffel bag that can be packed down once we arrive. 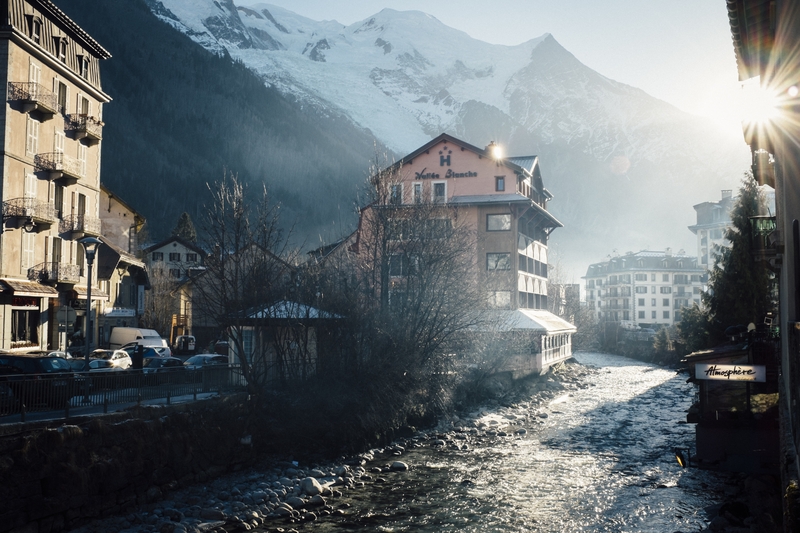 The first hostel we’re staying at in Les Houches will hold a small bag for a euro per day, so we may leave the packed duffel bags and some town clothes in a small bag with them and retrieve them when we stay there again on our next-to-last night. Something that came up for me as I began preparing my supplies was realizing that international travel can make it challenging to take medication. As someone who needs to inject medication, it was that much more complicated. So, the bottom line is this: for traveling to Europe, all prescription medication should be in its original container with the prescription label noting it’s yours. For traveling with syringes, you will also need to have a letter from your physician noting the medical necessity or they could be confiscated. Most round-trip shuttles between the airport and Chamonix cost between $140 and 175. I found this prohibitively expensive, so I explored my options for bus and train travel. As best as I can tell, there isn’t a train station at the airport, so you would need to travel from the airport to a local train station. There are more public buses leaving from the Geneva bus station, but that’s a few miles away from the airport. I ended up settling on the Ouibus, as it’s $47 for a round-trip ticket and they leave from the airport every two hours and drop off in Les Houches and Chamonix. They also offer free rescheduling of your ticket if you reschedule 30 minutes or more in advance of the bus’s departure, and have a handy app to help you navigate that process. It does mean that we’ll end up returning to the airport for our flight home maybe an hour earlier than required, but it’s worth the price differential. I flailed around for a while, trying to figure out the best way to put in reservations for lodging on the trail. I was overjoyed when I found the Autour du Mont-Blanc. 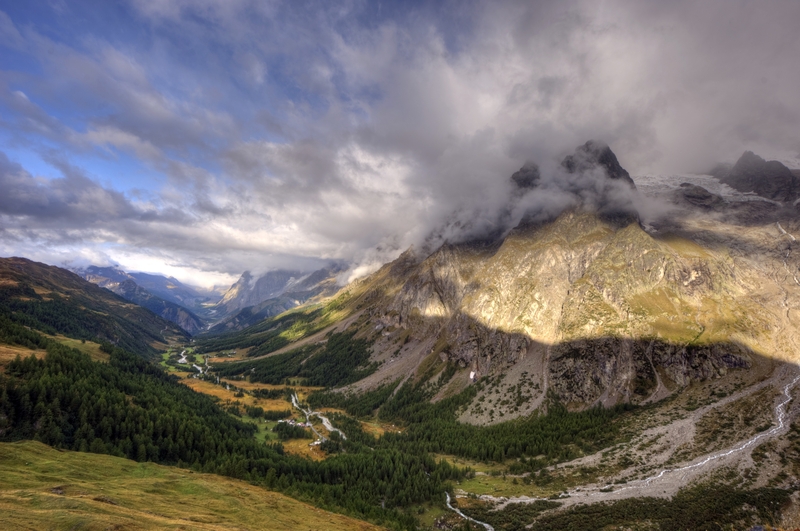 This is a wonderful site, and it’s almost everything you need to plan lodging for trekking the Tour du Mont Blanc. They help you plan an itinerary, based on where you’ll be starting and which direction you’ll be going. Once your starting point and direction are established, it will show you the nearest hostels and huts by walking distance, and also provides a lot of information about the services at the huts and hostels. Once you create an itinerary, it will assist you in reserving space at all of those places that offer online reservations. It will also tell you which places you must contact directly. Between this website, Google, and Kev Reynolds book, I was able to locate email addresses for all lodging that didn’t take online reservations, and placed all my reservations without making any phone calls. Before leaving on the trip, be sure to print out your reservation emails as proof. I read stories of people’s private room reservations not being respected because they hadn’t followed the directions to print out their reservation email as proof. For Chamonix and Courmayeur, I found hotels through online searches. I found the hotels search within Google Maps to be the cheapest and most thorough option. For Courmayeur, we’ll be staying at Hotel Berthod; in Chamonix, we’ll be staying at Le Vert Hotel. They were among the least expensive options, and both have excellent ratings on Google and TripAdvisor. When I placed my reservations, I paid 335 euros and 20 CHF to reserve or pay in full for lodging; six of the 13 locations did not require any payment to make a reservation. Only two places required full payment up-front, and those were the two hotels (Courmayeur and Chamonix). All said and done, it was $800 each for me and my partner to get lodging, dinner, and breakfast for 13 nights; for three of those nights, we paid a bit extra for a private room. Other locations offered private rooms, but they were substantially more expensive than the basic hostel option, and we were unwilling to pay the difference. Travel sheets are mandatory and very much desired for staying in huts and hostels in Europe. They provide pillows and blankets but do not provide sheets. Since there will be lots of people before and after you, it’s really the best idea to bring travel sheets with you. I purchased these synthetic ones for $20 and my partner purchased these silk ones for $33. Most hostels have a place to handwash clothes and let them dry. We expect that we’ll be able to use a washer/dryer at the two hotels we’re staying at, and other than that, we’ll be handwashing everything. In looking for unscented laundry soap to bring with us, I found these dry laundry soap sheets. They don’t count against your liquids and can’t spill in your luggage. They can be cut or torn into smaller pieces for handwashing in a sink, and one sheet will take care of a small to medium load of laundry. 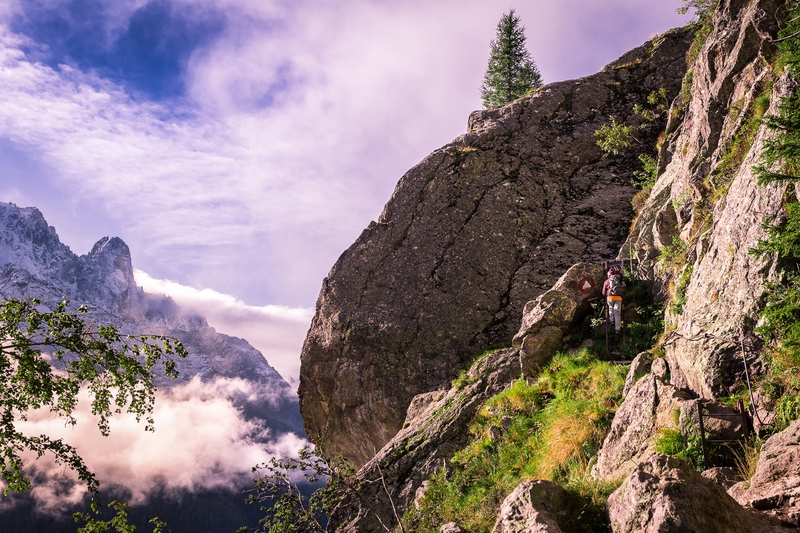 When hiking in more mountainous places like the Alps, mountain insurance is recommended, which will cover things like the costs of a rescue team or a helicopter rescue, should you or anyone in your party get hurt badly enough they can’t self-rescue. It can also cover the cost of repatriation, which is the cost to return you to your country in case of serious injury. After considering my options, I went with a yearly membership to the Austrian Alpine Club’s UK branch. They openly accept applicants from the US, and mailed me my membership cards. Membership includes mountain insurance, discounts at many huts and hostels, as well as a quarterly magazine. An adult membership starts at $60. They offer a variety of discounts for seniors, young adults, teens, and children. I ended up paying ~$110 for my partner and me, as they offer a discount for people who live together. With the discounts we receive at huts and hostels, it will pay for itself on our trip. You don’t want to be left holding the bill if something goes wrong overseas. Both me and my travel partner checked with our health insurance companies, to be sure that they cover medical care outside of the US. I was able to confirm it through their website, while my partner had to call the insurance company directly. For this trip in Europe, a Type C (‘Europlug’) converter will meet your needs, as it can be used with plug types E, F, J, K and L. I purchased this one for $12. You should check on your device or charger to be sure it offers both 110 and 220 volts (generally noted as 110-220 on the plug or device). Most items will have no problem with using a basic plug converter and don’t need a voltage converter (unless they’re high-powered appliances like hair dryers), but it’s worth double checking before you leave. While most hostels offer Wi-Fi, most huts do not. Given the complexity of this trip, I decided that I’d prefer to have full use of my phone during my trip and opted for a 30-day international phone pass. AT&T offers both a $10 per day and a $60 for 30 days international phone usage passport add-on, though it does need to be arranged prior to your departure. I did research into currency exchange and found that ATMs and banks are your best bet for withdrawing money in the local currency. Airports do offer it, but will charge a huge percentage on top of the actual exchange rate. I will be getting a few hundred euros from AAA before we leave, just to tide us over and make sure we have something in case of emergency. There are ATMs available in: (France) Chamonix, Les Houches, Les Contamines, (Italy) Courmayeur, and (Switzerland) La Fouly. You’ll need to call your bank to make sure your ATM card will work. Check if your credit card company needs to be notified about you leaving the country or traveling. Most hostels require cash; maybe three to four hostels (all in Switzerland) take credit cards. On the Tour du Mont Blanc, the predominant language is French; Italian, German, and English seem to be the next most-common. Since neither of us speak French, we worked on our basics using Duolingo. It won’t be enough to carry on full conversations, but we’ll be able to have some basic exchanges. From what I read, making an effort to speak at least some French is much appreciated by the locals. Our round-trip flights cost $633 each, and included one free checked bag; the Ouibus cost $47 each for a round-trip ticket. Total cost for 13 nights and 14 days in Europe came out to $1,535 per person, excluding incidentals and lunch, including RT flight, RT bus between airport and Chamonix, mountain insurance, and lodging with dinner and breakfast included. This is a really informative post. Thanks for pulling all this together and sharing it. You did a great job researching your trip and finding a way to keep the costs down. It’s hard to do all of this sight unseen. I hiked part of the Tour du Mont Blanc when I did the GR5 (Holland to Nice, France). The Alps are amazing! Be prepared to be blown away by the beauty of it all. And I loved staying in the hostels on the trail. Les Houches (“lays hoosch”) sounds very familiar to me, so I assume I stayed there. Please post a follow up report after your adventure. We’re all living vicariously through you. Great post! Hope your trip was a blast. Very informative, comprehensive and meticulous. Looking forward to your post on experience after the adventure !